To a quart of Indian meal (corn meal) add a teaspoon of salt, a tablespoonful of sugar. Sift, scald with boiling water so as to make a very thick mush. Let it cool a little, then thin with milk so it will drop from a spoon. Have a griddle hot and well greased, and drop a spoonful of the batter for each cake. When brown, turn and brown the other side. 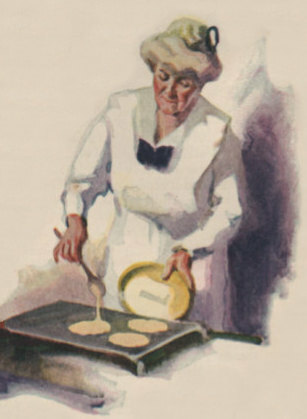 Johnny-cakes were usually served hot with butter or honey. It was just the simplest of dinners: a dish of baked potatoes, a platter of beefsteak, a plate of butter, a plate of steaming johnny-cake, and a pot of tea. No pickles, or fruits, or relishes of any sort. 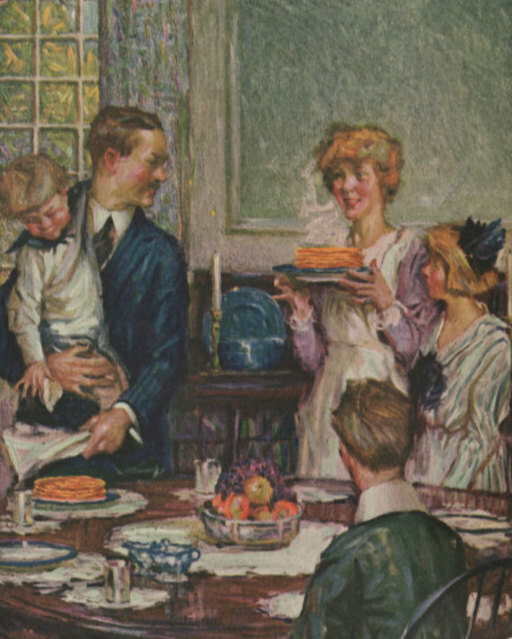 There were probably as many variations of johnny-cake as there were cooks. Some cooks fried them in bacon grease instead of lard, which gave them an attractive gold color and added flavor. Adding an egg or two, sour cream or buttermilk made johnny-cakes light and fluffy. Instead of frying, some cooks baked johnny-cake in the oven in a large pan, which they cut after baking into several servings. 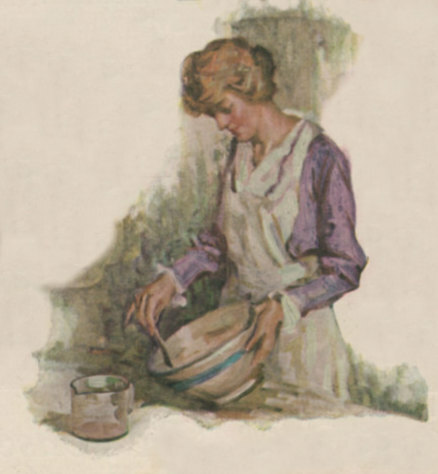 In warm months when fruit was plentiful, cooks added applesauce or bits of apple, sliced strawberries, stewed pumpkin or peach preserves to their batter for a special treat. Click here to read more about Isabella Alden’s books mentioned in this post.